Rent a car from the internationl Sixt rental car agency and you obtain all advantages like a business customer. 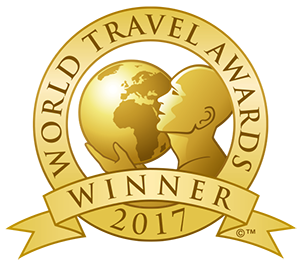 Sixt is the largest provider of short-term leases on several occasions awarded the prestigious TTG Award, incl. 2010, or the latest price Fleet Award for the best car rental in the Czech Republic. Welcome to SIXT car rentals! SIXT is one of the leading global vehicle rental and hire agencies and extends the first class rental service that customers have come to expect to the internet, where you can rent a car, SUV, minivan, sports car, van truck or whatever kind of automobile you desire from the comfort of your own home. The SIXT car pool offers a comprehensive choice of SUVs and even limousines to satisfy every customer. Worldwide, more than 3.500 SIXT stations offer additional services, allowing customers to rent vans, minivans and trucks. Whether you need a car or a truck, SIXT is there to support your mobility needs, whatever they may be, on the internet as well as through traditional means. As the holder of a SIXT customer card, a few clicks is all you need to book your holiday car, and take advantage of SIXT best deals and special offers. Corporate customers will especially enjoy the new online service available from SIXT for renting exclusive limousines, including of course an experienced chauffeur. Enjoy the new SIXT website, and keep up to date on car rental, purchase and leasing! 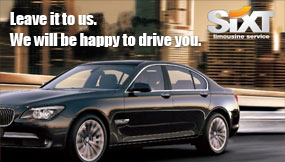 Sixt means the best service quality. SIXT is advantageous car rental.